I have come to drag you out of yourself and take you into my heart. 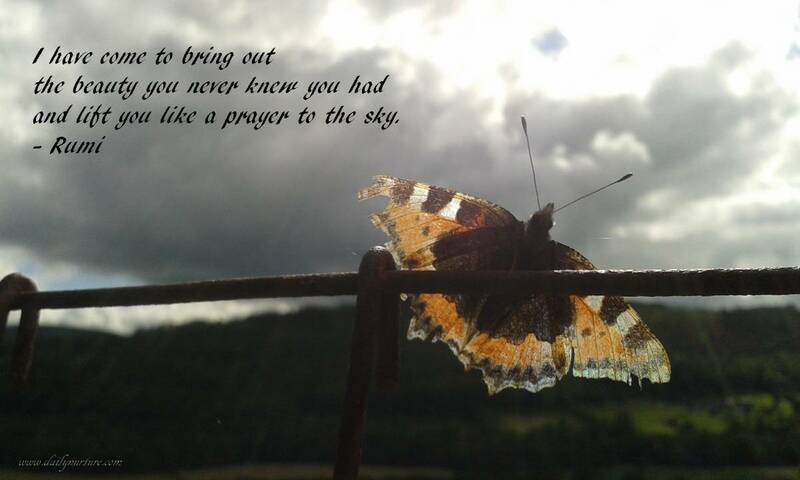 I have come to bring out the beauty you never knew you had and lift you like a prayer to the sky. If no one recognises you, I do because you are my life and soul. Don’t run away, accept your wounds and let bravery be your shield. It takes a thousand stages for the perfect being to evolve. Every step of the way I will walk with you and never leave you stranded. This entry was posted in Nurturing Quotes and tagged beauty, Rumi. Bookmark the permalink.